It’s time to reflect back at the last six months of 2018. See part 1 for the first six months of 2018 in Second Life. I have included various bits on OpenSim and Sansar. I’m looking forward to more blogging in 2019. 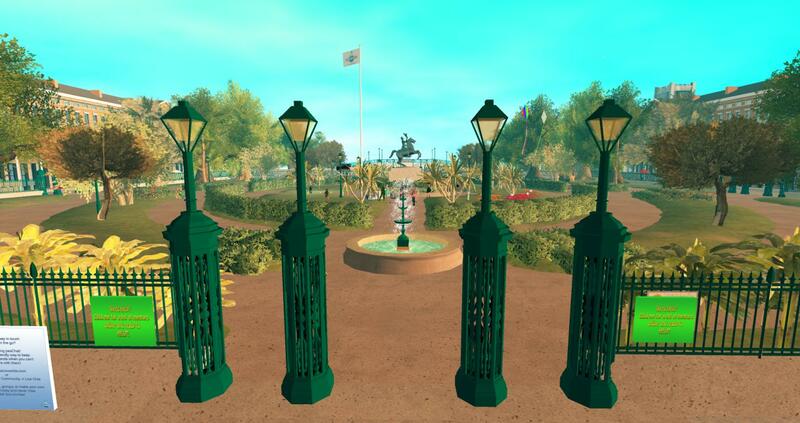 In mid July it was reported that there were two weeks of private regions growth in Second Life after the lab announced the new pricing restructuring. It’s good to see the grid growing again. The well known InWorldz grid closed down after financial difficulties. This was a big blow to the entire OpenSim community and many decided to move to other OpenSim grids (The Adult Grid, DigiWorldz, Discovery etc). InWorldz was one of the first OpenSim grids I joined back in 2010. There was a campaign set up to save the grid but it stopped accepting donations soon after the closure announcement. 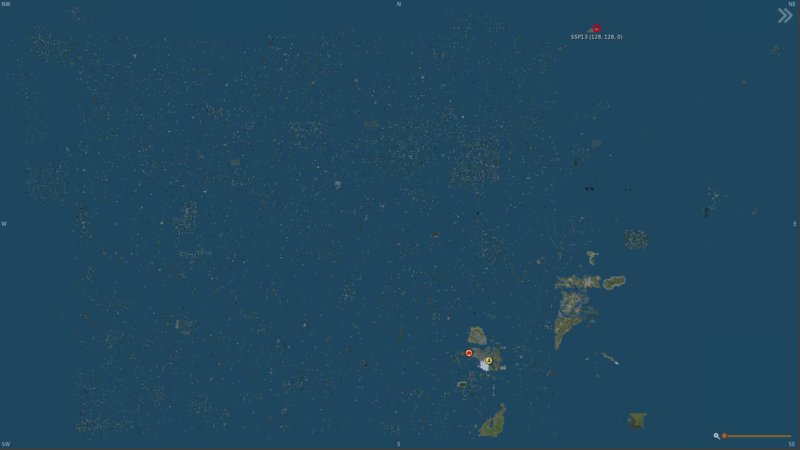 The new Islandz grid is now open and the community is growing at a steady rate. There is still more work to do in the year ahead. 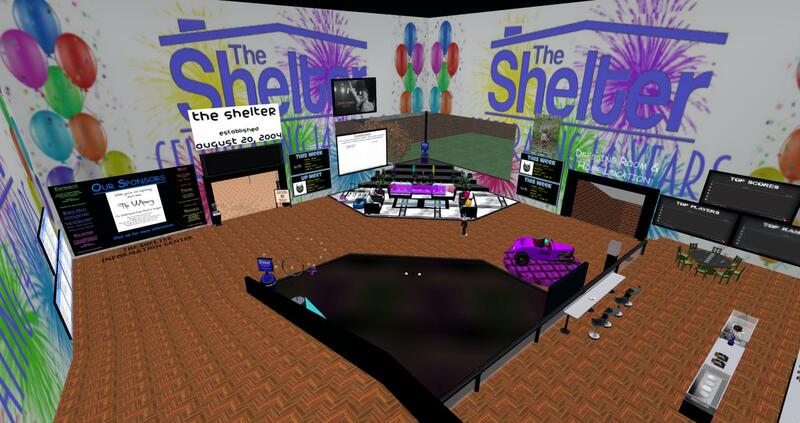 The Shelter in Second Life turned 14 on 20th August. The Shelter is one of the oldest resident run help organisations on the grid. In mid August a new Sansar release became available which included more SimpleScripts, three new options when taking snapshots and Edit Mode improvements. A brand new continent appeared north-east on the Second Life map. The region names SSP1 to SSP80. Since then the continent has grown in size to 384 regions and it still remains closed to the public. Many have been saying it will be used for new Linden homes or possibly games. The Relay For Life of Second Life team officially decided to start the 2019 season a month earlier. The kick off event starts at 10am SLT on Saturday 16th February and the annual Relay Weekend will happen on 8th & 9th June 2019. Ebbe Altberg held a town hall event with the Second Life community talking about the important things the lab have been working on including last names, tier rates, Linden homes, the cloud, premium subscription options and much more. 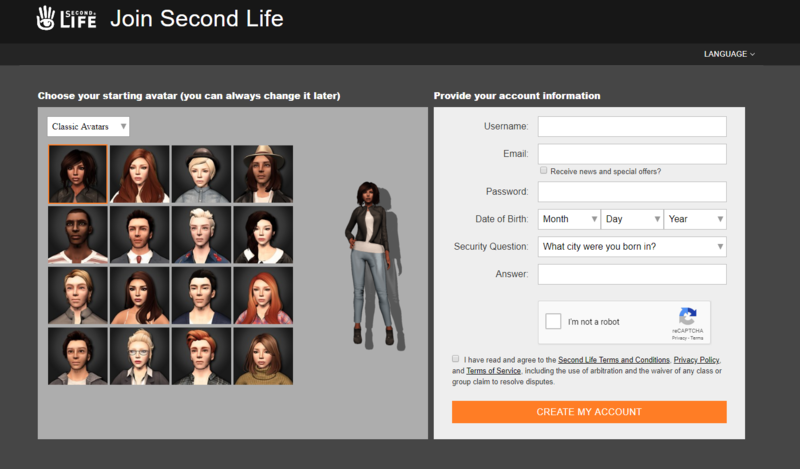 Linden Lab revamped the Second Life Join Page making it easier to join than ever before. Everyone joining for the first time today can now choose their avatar type and membership level. Hopefully in 2019 the ability to change/choose your last name will happen. Linden Lab decided to block the third party Android viewer “IM to SecondLife“. Apparently the block was due to serious violations of the policy on the Third Party viewers page. Second Life and OpenSim communities received some sad news that Google+ was going be closing down in Q1 2019. For most I think now is the time to leave Google+ and try out other social networks. The old SLUniverse Forums were closed down in early October. 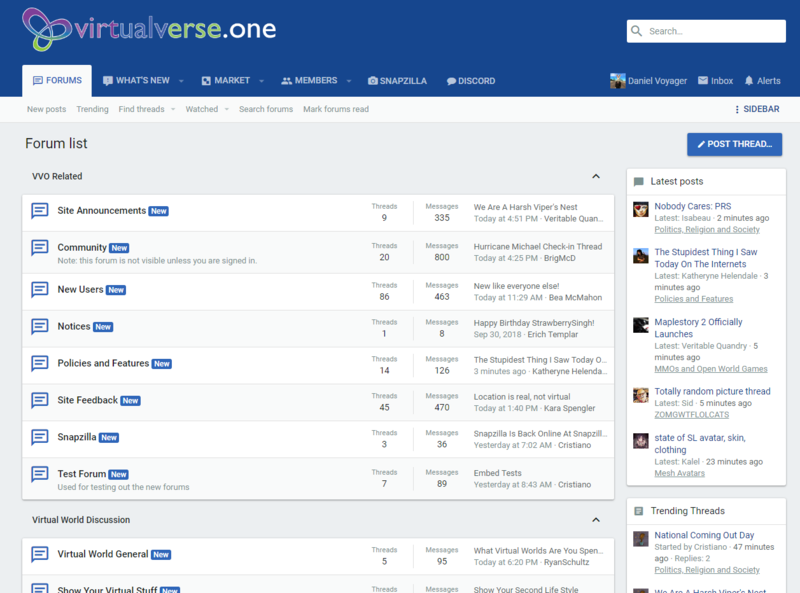 The new VirtualVerse One has been up and running for the past few months now. It’s very active and the community is growing pretty nicely. Linden Lab announced some good news on getting 50% off your first payment on new monthly premium membership subscription. Jason Gholston officially left Sansar and Linden Lab after six years. Jason started his new job as a creative director at Speech Graphics in the San Francisco Bay Area. Linden Lab made a major announcement that Sansar will be moving over to the popular Steam platform and dropping Sandex. 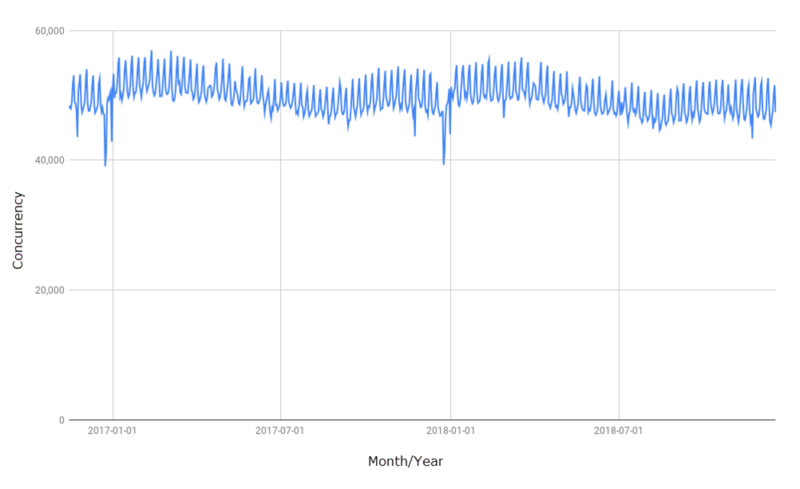 Since the launch on Steam on 5th December 2018 the usage numbers have not been very high. It will be interesting if the numbers can improve during 2019. Sansar reached a peak of 73 visitors via the chart for monthly public visitors. The number of experiences surpassed 1, 100 in late 2018. It will be interesting to see if the usage stays the same or increases throughout 2019. Linden Lab sent out a statement on creator rights and IP protection for creating content in Second Life. In the statement the lab writes “recently, there’s been some debate about one of the more esoteric aspects of content creation, which impacts many in our community”. That debate is around the use of UV maps in mesh heads apparently. There has been a report of one designer issuing DMCA notices against many creators in Second Life. The Sansar team released the new look at me release featuring a while new user interface, a first person avatar view, tons of revised controls, new & custom emotes, script raycasting and more. The new Islandz grid went online and logins started working in mid November. The Islandz website is still under maintenance and new users still can’t sign up. Linden Lab announced some good news that Project Animesh had been released grid wide. It’s now in the default viewer download and all regions on the grid support Animesh. In mid November Grumpity Linden, Oz Linden, and Patch Linden hosted a live town hall meeting with the Second Life community to answer questions. Things that I took away from the town hall meeting..
Linden Lab are working on new genres for Linden Homes and parcels will come in difference sizes. It looks like the new SSP continent will be the new Linden Homes continent. The Pfaffenthal 1867 regions closed down in Second Life and moved to Sansar after having a strong presence inworld for many years. Pfaffenthal 1867 is moving over to Sansar because the land is free, the graphics is better, the use of VR headsets and real physical interactivity. The results are here for the recent Virtual World Economic Situation #1 Survey that was released last month. There were 124 total responses for the survey and the graph visuals are pretty interesting to say the least. At the end of November LEA announced that will be temporarily closing it’s residence regions (LEA 10 – 29) from 1st January 2019 to allow for major restructuring. Sansar officially launched on Steam on 5th December 2018. It’s going to be interesting to see if Sansar can now reach a much bigger audience with it now being on the Steam platform. We will have to wait and see. Sansar now has greater potential to reach thousands of users in 2019/2020. Google announced that Google+ will now be shutting down in April 2019 after the company suffered another data leak effecting 52.5 million users. Linden Lab published their 2018 end of year key accomplishments and new feature highlights. The blog post goes into detail on new experiences, the Environment Enhancement Project, performance updates, reduction on land costs and much more. You can expect to see more improvements made to Second Life in 2019 including new grid-wide experiences, the ability to change your name, migration to the cloud and Linden Home updates. Animesh and EEP will improve greatly next year I think. 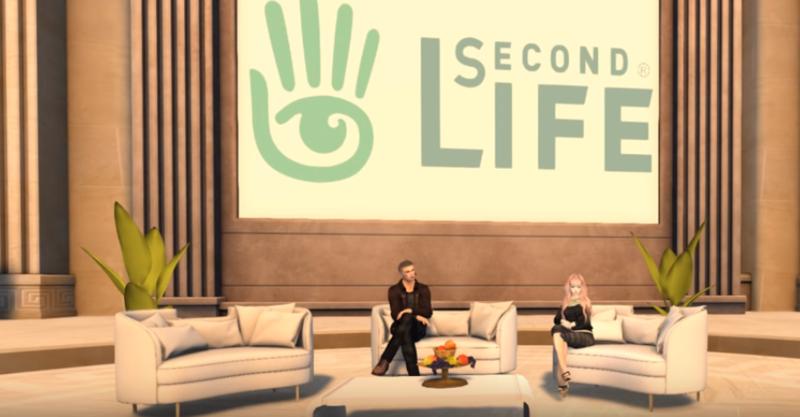 Second Life will have its 16th birthday in June 2019. The birthday events are always big and exciting. The new SSP regions are still being worked on and the lab will reveal details on that next year. 2018 has been a good year for region growth in Second Life I think after years of the grid declining. Hopefully the growth trend will continue in 2019. I’m looking forward to all the annual events and more adventures next year. There is a few things that are pretty worrying though Flickr and Google+ in 2019. Flickr because of the recent account changes they have made (your safe if you upgrade to PRO) and Google+ because it’s shutting down in April. Both of these platforms have a strong Second Life user-base and next year it’s going to be a pretty rough I think. I think OpenSim will continue to do well and I guess the big question can Sansar draw in more users on Steam in 2019 ?. It’s going to be an interesting 2019 ride for sure. Anything can happen and I’ll be ready to blog about it.